IDF attacks Hamas special naval force army post, neutralizes naval terror tunnel designed to allow frogman assaults in Israel. During IDF strikes in Gaza last Sunday morning the IDF attacked a military post belonging to Hamas special naval forces in northern Gaza. Today it was permitted to publish that during this strike an offensive terror tunnel leading to the sea was demolished. 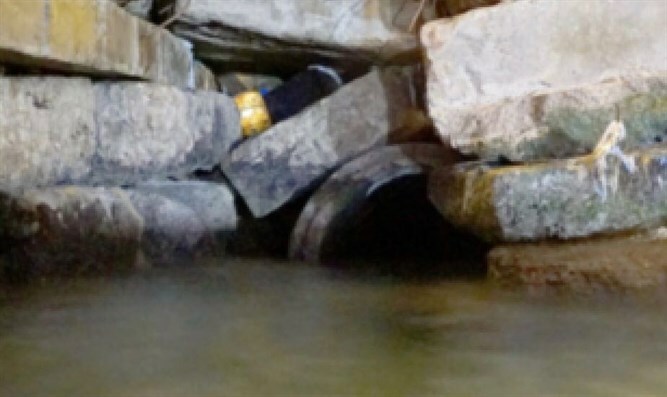 The unique terror tunnel facilitated concealed exit from the Hamas post, allowing underwater access for terrorists to stage attacks in Israel. The tunnel's route was identified as part of the ongoing campaign against Hamas naval forces conducted by the IDF over the past year. 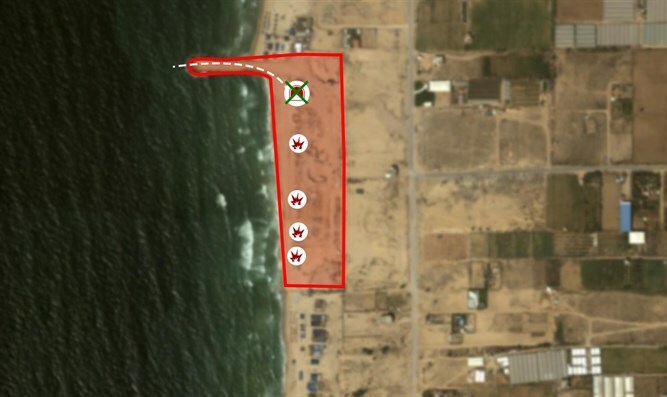 According to a senior Israeli naval officer, the tunnel led from Gaza into the sea at a shallow depth of a few meters and was supposed to penetrate Israeli territory from the northern Gaza sector. "The IDF will not allow any damage to the security of the State of Israel and will continue to act with determination against terror of all kinds," the official said. "The IDF is determined to continue performing its task of defending the citizens of the State of Israel and its sovereignty." The officer added that Hamas' intention in digging the tunnel was to bypass the border fences. It reached a distance of three kilometers from Israel.